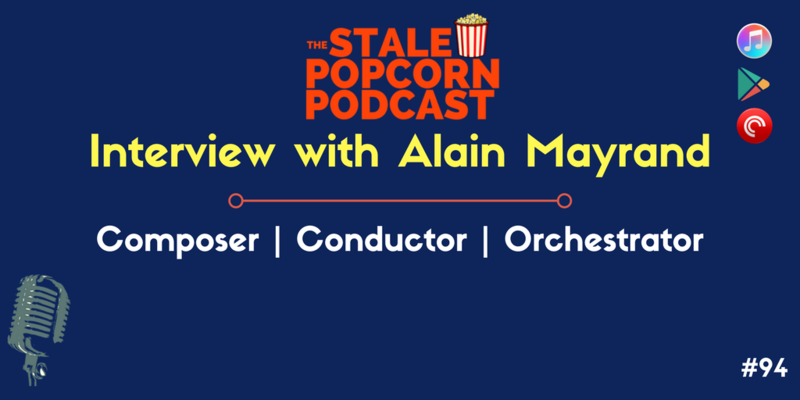 On this very special episode, we interview film composer, orchestrator, and conductor, Alain Mayrand. Our interview was wide-ranging, as we discussed Alain’s daily routine, how he deals with difficult circumstances, and yes, we definitely asked him what his favorite film scores were. Thank you, Alain, for joining us! You can find out more about Alain by visiting www.alainmayrand.com and https://scoreclub.net/.